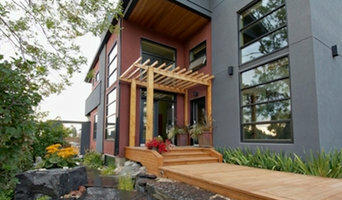 At Chameleon Painting we stand out through our dedicated work ethic and a commitment to excellence. Our years of experience (15+) has taught us a lot, and has allowed us to build an unshakeable reputation as one of the finest painting companies in the greater Hamptons region. We work closely with homeowners to bring their dream rooms to life. We strive to be the most courteous and professional company possible. Whatever questions you have about painting, our services, or our company, we are here to answer. Let us be your preferred painting contractor and call us today! At Hampton Crafter, we pride our company on reliability, great communication, integrity and quality work. We can handle anything painting, flooring, tiling, handyman service and we're ready to help you complete those tasks that keep piling up. She earned a Bachelors degree in Fine Arts, and has trained with some of the most renowned international Artisans while studying in Italy, France, and Japan. As well as the USA. It is my mission and passion to create ambiance in a space that pleases the senses with color, texture and creativity. She has had a long career of continuous growth, which exemplifies her enthusiasm for each project, no matter how small or large. A professional and personal bond is nurtured throughout each and every project. Joe's Custom provides a diverse array of construction services with a specialization in painting and carpentry. We have been serving the Hamptons and the east end since 1986 with the highest level of quality and personal attention, exceeding our clients expectations time and time again. We are a family owned paint store, located in Rocky Point. Our mission is to provide both homeowners and contractors with the best service as well as the best products for any home improvement project. Our products include interior/exterior BenjamineMoore paints and stains, wallpaper, brushes, rollers, caulk, painter's tape, window treatments, etc. In addition, we are open seven days a week so stop in or give us a call if you have any questions or need help with a project. Similarly, we offer design services (color suggestions, room staging, available contractors). Jaime's High Quality Painting Corp.
Jaime's High Quality Painting provides superior quality interior and exterior painting services for Residential, Commercial and Industrial customers. Our top notch 20 year reputation is based upon making sure that the details of every painting job, interior or exterior is cared for from start to finish. In this we are committed to getting it right. Our end result is quality with a clear focus on detail. Our Painters are able to work at your convenient time on weekend and evening shifts, to minimize any disruption to your environment. Give Jaime's High Quality Painting a call to experience exceptional service and quality! Mowatt Painting & Home Improvement is the company to turn to if you need a home remodeler in Bridgeport CT and the surrounding area. We have been serving the local community since 1999, and people have learned to trust us with all their remodeling needs. Our company is fully licensed, insured and bonded, as well as affiliated with the Chamber of Commerce. Over the years, we have successfully completed countless projects. This gives us the experience and skills needed to rise up to any challenge. No other home & bathroom remodeler can match our workmanship! We owe our success to a team of skilled workers. In a company like ours, there is no place for amateurs! That is why we employ some of the finest professionals in the area. Each member of our team has many years of experience as a home & bathroom remodeler behind his back. They are guaranteed to make your remodeling dreams come true. From planning to execution – we do it all, and we do it in the most efficient manner. Paint and wall covering contractors are experts in the specs, application and removal of paint, wallpaper and other wall coverings. They can help you choose the paint color and finish, wallpaper style or specialty covering that best suits the needs of your Water Mill, NY home, whether the job is for the interior or exterior. In addition, they can strip off old paint or paper and prepare surfaces through sanding, skim coating and other processes. Many can handle decorative paint treatments and materials such as plaster. A paint and wall covering contractor might work closely with Water Mill, NY interior designers, builders and others, too. Here are some related professionals and vendors to complement the work of paint & wall covering dealers: Interior Designers & Decorators, Artists & Artisans, Window Treatments, Carpet Dealers. Find a paint and wall covering contractor on Houzz. 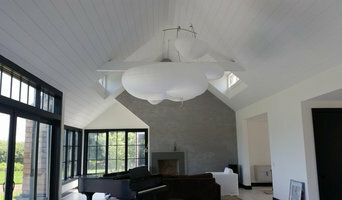 Narrow your search in the Professionals section of the website to Water Mill, NY paint and wall coverings. 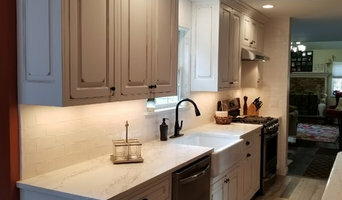 You can also look through Water Mill, NY photos to find examples of paint jobs and wall coverings that you like, then contact the professional who worked on them.